I think it helped that I haven't read any other Zola other than The Fortune of the Rougons, so perhaps my expectations were not that high. I really love reading history books so I found the political aspect of it really interesting. I know there have been comments that people feel that Zola took liberties with the characters ……. 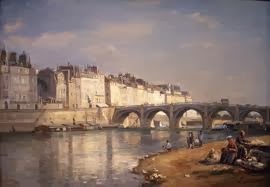 that they are perhaps not as believable as some of his others, but when I was in France I found the real life characters there so varied and vibrant that I didn't think he exaggerated. When I first started reading Russian Lit I thought the characters ridiculously exaggerated but now I know it's just a cultural difference. Rougon's character was one of the more interesting aspects of the novel. I'm still not sure if his development and actions were quite believable but his behaviour certainly mirrored the volatility of the politics in the capital. My next is La Curée and Karen K. said it was her least favourite so far, so I approach it with a teensy amount of trepidation. Yet perhaps if I can appreciate "His Excellence…", I can appreciate anything Zola! Great to hear from you, O! This sounds like a very engaging book, and one that invites the reader in to experience what is happening. Your reviews are so well-written, and are introducing me to many books I've never heard. Well, it's not his best loved book of the Rougon-Macquart series but I did enjoy it. I know very little about the Second Empire, so I think that's what made it particularly interesting for me. Zola writes a novel but he inserts real characters and events that have been well-researched.. It's fascinating. I'm so glad I am giving you new books to explore! I'm still being introduced to new classics every day yet I also have to find time to get to authors on my list that I have read little of …….. Zola is new for me and I haven't even made it to Balzac or Trollope, who I'm going to try to fit in this year. So many books …..! Your kind comments are so appreciated! 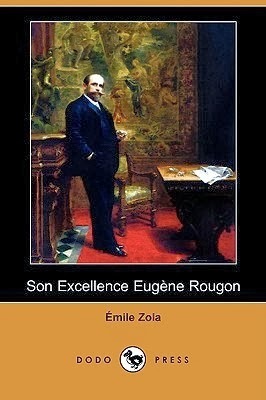 I haven't read the earlier novels in the series (I read Zola in no chronological order), but this one looks promising. Unfortunately Oxford haven't published it, I have been enjoying their translation. What about this version, is the translation recommended? I read the Vizetelly translation and I think the complaint with him is that he "Victorianized" the translations, which means he toned down any "racy" parts. I really liked the translation but I have nothing to compare it to. I am going to read the Brian Nelson translation (Oxford edition) of La Curée coming up, so I will have to do a comparison then. I'd like to know what you think of it when you read it. It certainly focuses mainly on one character, but the history and political scene of that period is fascinating. So glad to see Zola's lesser known works being reviewed. The scene I remember ... was the subtle seduction in the stables between Eugène and Clorinde. You can hear the slight panting and smell the moist hay. I was just discussing with someone on another blog, how descriptive and evocative Zola's writing is, without being over-descriptive. I'm looking forward to starting La Curée!